Online visitor registration for the UK’s largest outdoor trade show is now open. This year’s event will take place from July 3-5 at its new venue, EventCity in Manchester. Trade visitors can register to attend the event by filling in a short form on the website, http://www.outdoortradeshow.com/visitor-registration. Once completed, visitors will receive a confirmation email to print and take along to the show in July, to receive a badge, show guide and free entry. With three months still to go, UK’s largest outdoor industry exhibition is filling up fast – almost 100 companies have already signed up to exhibit, including over 20 first time exhibitors: Bach, Beal, Berg Outdoor, Blaze Wear, Blundstone, Boreal, Brookite, Craft, Evolve Skateboards, Five Ten, HAIX, Healthy Back Bag Company, Ibex Marina Ropes, Lowe Alpine, Max Fuchs, National Navigation Awards Scheme, OMM, Osprey, Crux & Lightwave, Rubytec, Skinners and Waka Waka. OTS 2018 will also see many regular exhibitors moving to Manchester with the Show, including: 2pure, Allcord, AMG Group, ASI, BCB Adventure, Buffalo, Buffera, Bradshaw Taylor, Burton McCall, Cadac, Carrot Banana Peach, Cicerone, Citrus-Lime, Coast, Cordee Books and Maps, Craghoppers, Dalesman, Dexshell, Dolomite / Scott Sports, ESS, Falcon Technical, Falke, First Ascent, GP Batteries, Grangers International, Harvey Maps, Helinox, Hi-Tec, HJ Hall, Intelligent Retail, Keeblecare, Keela, Killtec, Ledlenser, Lowa & Tecnica, Lyon Equipment, Maier Sports / Wigwam, Mammut, Meindl & Source, Mountain Boot Company, Mountain King, New Heights, Nikwax Outdoor Innovation, Ortovox, P4 Distribution, Páramo, PJS, Proagencies, Pyramid Travel Products, Regatta Great Outdoors, Ronhill, Hilly & Altra, RUK Sport, Rosker, Sea to Summit, Silva, Snugpak, Sprayway/Oboz/Trekmates, Storm, Summit International, Summit to Eat, Superfeet, Task Force Disribution, Thule, Tilley Endurables, Troll, Vibram and Volkswagen Official Licensed Products. 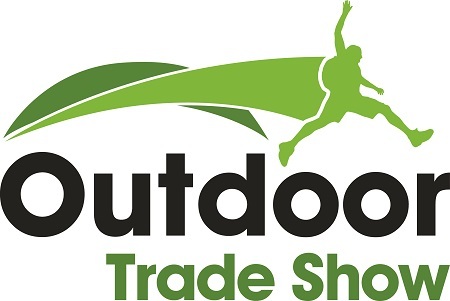 OTS is the largest UK outdoor show, with a great mixture of brands and now with its Manchester location, it is the ideal platform for retailers to visit a wide variety of customers and discover new brands and products in the market.